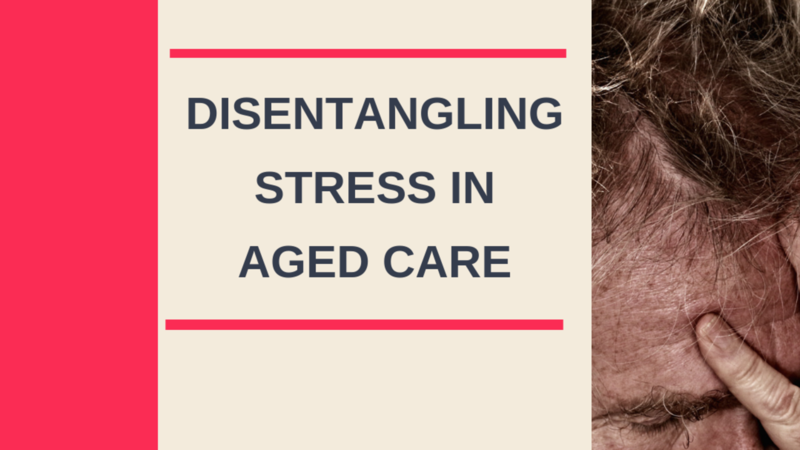 How to move from disengagement to engagement in aged care? Do you know how to move from disengagement to engagement? How to move from isolation to engagement? How to replace loneliness with inclusion? The difference lies in exploring the "NO". By doing this you are opening up a new way of doing things with older adults and better understanding their barriers. YES, sometimes an older person may simply not wish to engage in an activity and fully well understand what they are asked to do. But, other times it could mean that they did not understand or that they were scared. Watch this week's episode and find out three key strategies to transfer disengagement to engagement. Hi Julie, how do we get a psychologist to visit our facility? Hi Julie, my mum is in a nursing home and I need a psychologist to see her. She is so depressed. If I got a dollar for every time I was asked how to get a psychologist to visit an aged care facility I would be a rich woman! 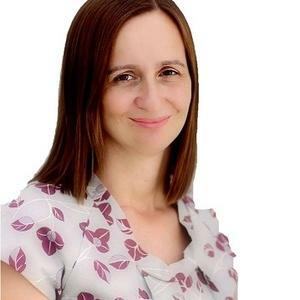 Although it is so pleasing to hear awareness about mental health in older people it is so disheartening having to answer that there is limited funding to mental health services for older people in nursing homes. Why is that? When you tell someone that you work in aged care the common response is “that must be so tough” or “good on you, it is not easy”. But, what exactly makes it “tough” or “not easy”? Dealing with clients, families or colleagues? Or, is it the combination of all those individuals and their unique personalities? Where do the problems stem and why do certain situations become stressful? Is it due to different personalities, varying skill set or the lack of information? IS YOUR FACILITY GREAT AT PROMOTING EMOTIONAL HEALTH? 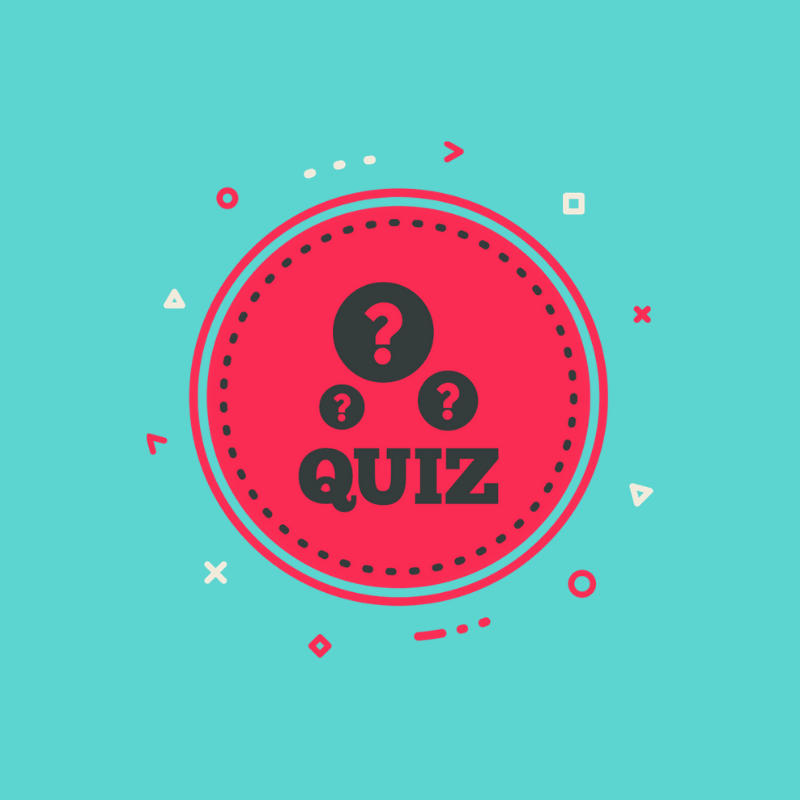 Download the FREE QUIZ to evaluate today. 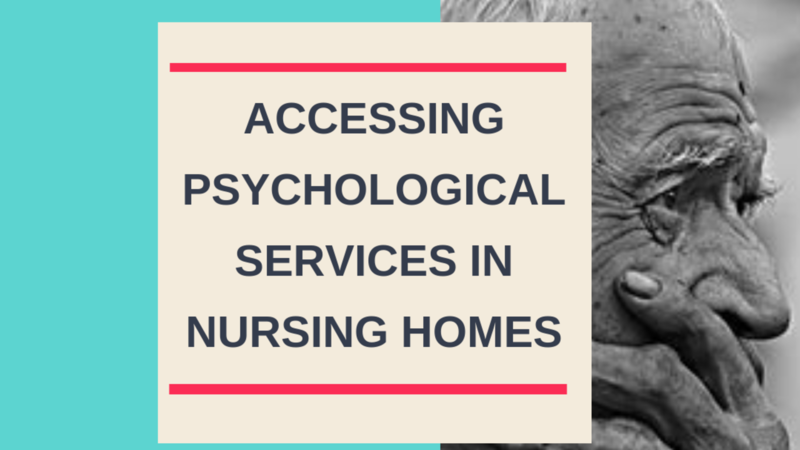 I am a psychologist and I have worked with the elderly and their families for years. More recently I have been examining factors associated with emotional and psychological wellbeing in the workforce. 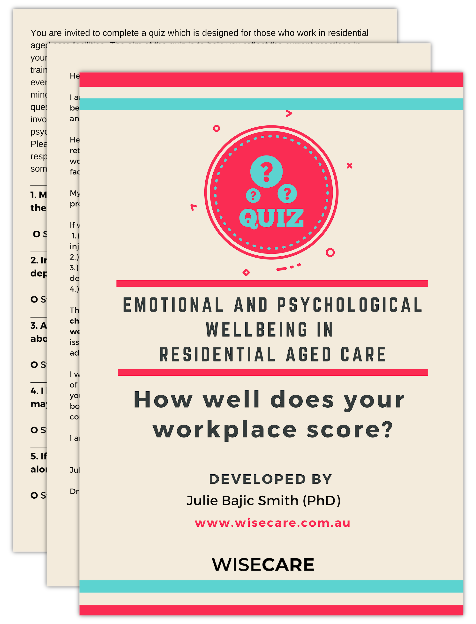 I help aged care providers improve staff retention by addressing the psychological aspects of delivering care. Give me your details so I can send it to you right away ! Yes Please Send It My Way !